We are getting close to that 1245 now at 1249. Glad I did not bought anything yet. We have now reached a DP with stochastic divergence at 1248, this loks like an ABCDE down. This could be the end of the correction. I will wait and see what happens from here as we might go a bit lower to the 62% at 1241.75 and at the same time this would give a chance for the 1245 to be achieved. I know I'm asking a lot but since I made a few points this morning and had PC problems earlier I prefer to sit and wait as I would not like my PC to crash in a middle of a trade. On days where I have to wait, I make sure I wait for an ideal setup because of my tendency to jump into a trade, but yes things are starting to come together. 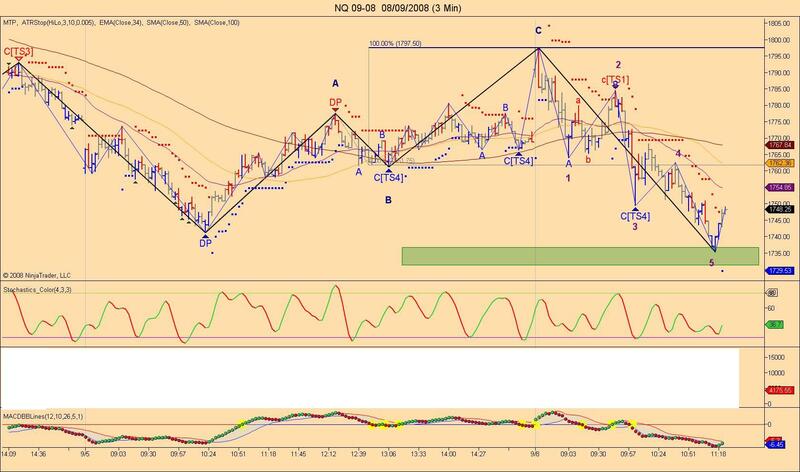 Here is a follow up on that NQ 3 min. We can clearly see that it is the weakest one as we now have 5 waves down since that ABC top. 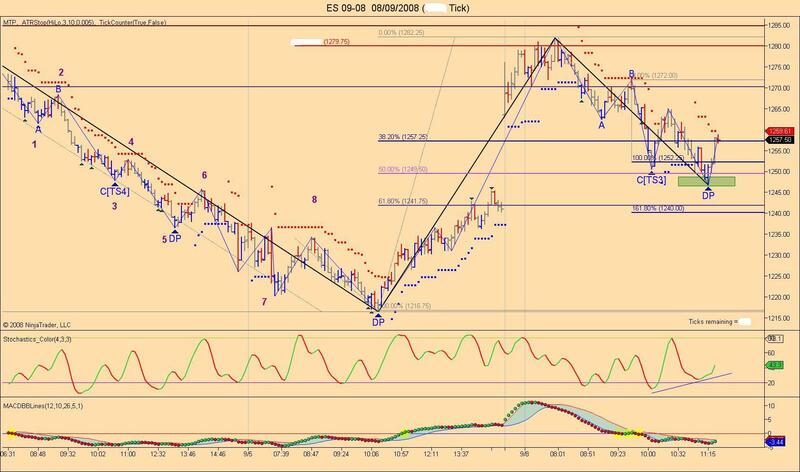 That's what I was talking about earlier on the ES for possible ABCDE and DP with stochastic divergence. I am logged in but cannot open charts? Can anyone help me with this? Make sure you see your login name in the upper right hand corner of the screen. "You are logged on as teflon"
Thanks Jim.....I don't see my login name.....I was able to view charts yesterday....I don't know what has changed??? Don, trying logging out and logging back in.